This section explains how to obtain a full licence, by proceeding through the various stages of the 'Graduated Licensing Scheme'. If you drive safely, and don't commit any offences, obtaining your licence is straightforward and you can be on your full licence in four years. Unfortunately statistics show that new drivers, particularly those aged 16 to 24 years, are almost twice as likely to be involved in a serious or fatal road crash. 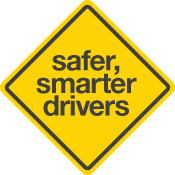 But research has also found that strengthening the driving experiences and supervision of new drivers through graduated licensing schemes can lead to significant reductions in crashes both before and after obtaining a driver's licence. a two-stage provisional licence (P1 and P2). if you are under the age of 25 you must hold your learner's permit for at least 12 months. if you are aged 25 or over you must hold your learner's permit for at least 6 months.